Green Tea has become the buzzword in for the healthier eating movement, which wouldn’t be a bad thing except for the fact that not all Green Tea products are made equally and one must do one’s research prior to consuming “healthy” products. I point this out as I become quite aggravated with how easily consumers are willing to take the word of a product manufacturer versus research and even common sense. Okay, I’ve spoken my peace on that subject and now let’s move on to Midori Spring Matcha Organic Ceremonial Green Tea Powder. Midori Spring Matcha Organic Ceremonial Green Tea Powder is quite different from other Green Tea products that I’ve tried and the superior quality was evident upon opening the canister (which is quite lovely by the way). The scent of Midori Spring Matcha Organic Ceremonial Green Tea Powder is sweet and inviting, as are the healthy benefits that I experienced. 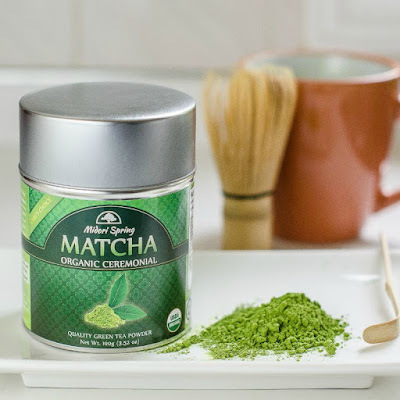 Of note, Midori Spring Matcha Organic Ceremonial Green Tea Powder is USDA Certified Organic, OCIA Certified Organic, OU Kosher Certified, VEGAN.ORG Certified, GMO Free and Gluten Free! 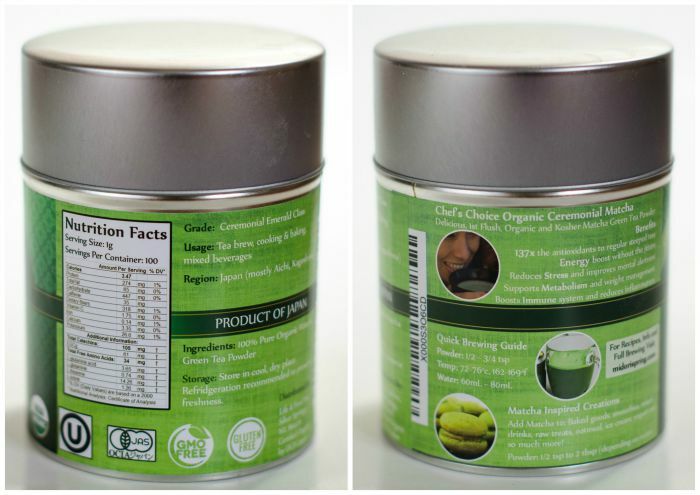 You can really taste the quality in this Matcha and its health benefits are exceedingly good! You can enjoy Midori Spring Emerald Class Organic Matcha Ceremonial Green Tea the traditional way by brewing or you can create your own Matcha inspired recipe. Whichever style you choose to have your Matcha, you can experience the many health benefits it has to offer since Matcha is a Superfood. You may find Midori Spring Matcha Organic Ceremonial Green Tea Powder at online Life & Food Inc. Please Note: This product was received complimentary for review purposes only. All opinions of said product are derived from my own experience.